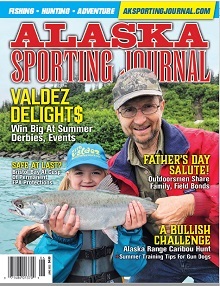 What could possibly be better than a day trip fishing for halibut or salmon from Homer, Alaska? The answer is simple: a multiple day trip. For anglers who are really serious about fishing, long range trips are a great way to go. Bring along your group of up to 6 and we will take you on a great long range fishing trip – fishing, gear, meals and lodging on the boat are included. On the first morning the crew will familiarize you with the features of the boat and serve a breakfast of juice, fruit, coffee, muffins and toast. The vessel will be the Outer Limits, our 60 foot yacht. We limit these trips to your party of up to six guests. Due to the availability of halibut, rock fish, lingcod and silver salmon we usually recommend mid July through August for the very best long range fishing. However trips can be arranged anytime during the summer season. Trophy Longcod We’ll take you to areas beyond the range of the day trip fleet, to places that are rarely fished. Since we have a limited number of people on the boat we can concentrate on larger fish, usually in shallow water for the ultimate fight. The spacious deck and experienced crew make for the best fishing of your life. You may keep the four halibut of your choice, but we do encourage catch and release of large breeding fish. Also available are several species of rock fish and ling cod (opens on July 1). We provide top quality tackle for catching halibut but you may want to bring along your favorite light tackle rod for some insane action. Starting around the first of August we begin catching silver salmon on our long range trips. We also take along a shore launch so we can follow these salmon on the incoming tides. There is nothing like fishing these remote, beautiful areas for salmon and halibut. The crew serves you first class meals, baits your hook, cleans your fish, and even plays jokes on your buddy. In the evening we anchor in calm protected coves where you can get a good night’s sleep or you can fish all night. We return to Homer around 5 p.m. on the last day of your trip. We recommend 3-5 days for the best possible experience. These trips are not the least expensive- they are simply the best. They include your fishing, lodging, meals, and on board entertainment. Why go fishing at a lodge when you can take the lodge fishing with you? place on Deer Lake. My grandmother taught me to fish for perch with corn kernels on egg hooks. My father carried me, sleeping, off the dock after dark and the next morning I couldn’t wait to do it again. That is when the addiction took me. I grew up on the shores of Hood Canal where I was the captain of an old 12 foot riveted aluminum row-boat. From this rig I learned to fish Rockfish, Salmon, Cutthroat and Crab. More importantly I learned about tide, current and rudimentary navigation. At eleven my Grandfather took me Salmon fishing at Westport on his charter boat and the world opened up for me. I started deckhanding for charters when I was fourteen and worked most of every summer through high school on one boat or another. I absolutely loved the experience of running in the ocean, playing with the passengers and catching loads of fish. I knew then that this was what I wanted to do. In the thirty years since nearly everything I have done has been focused on achieving this goal. I toured the world in the Navy for a few years. Spent 8 years in Colorado where I learned to enjoy trout fishing and dabbled in fly fishing a bit. But I was caught by the lure of the sea. Landlocked Colorado was a nice place to live but I had to get back to the salt. I returned to the Puget Sound in 1996 and immediately bought a boat and started following around people who know what they are doing. I learned how to fish Blackmouth and other species from some of the best captains in the Puget Sound area. I have spent the last fifteen years fishing all around the Pacific Northwest learning fisheries from South Sound Blackmouth to Offshore Tuna. Today I am at the end of a long career in the aviation industry. This career has allowed me to invest a lot of time, and no small amount of money, into learning the fisheries I hope to share with you. I earned my Coast Guard license #150511 and my first year ran a limited number of tuna, halibut and salmon charters around my work schedule and while the plan was to retire this year and charter full-time, I found it was a better choice for my family to continue working till the boats are paid off and hire my friends to help run the boat while I work. I will put my team including, Captains Brian and Patrick, up against any in the business. We produce as well as any and have more fun guaranteed. I really enjoy learning new techniques and adopting them into the way I do things. I still attend several seminars each year from the people I respect in the business. If you see me say hi, I’m always up to talk about fishing. Fishing is fun for me and as with anything fun it is better when shared. J&J Smart Charters is a family-run business. John and Joan Smart have lived in Alaska since 1989 and started J&J Smart Charters in 1992 with Captain John as the main captain. 2012 was their 20th anniversary of chartering on Cook Inlet in Ninilchik, Alaska. They purchased Deep Creek View Campground in 1995 and have been providing unique camping experiences and enjoyment in Ninilchik for many years. The entire crew at J&J Smart Charters are great individuals who love what they do and it shows! We look forward to another incredible year!